Home / Old Try / Building Manners. 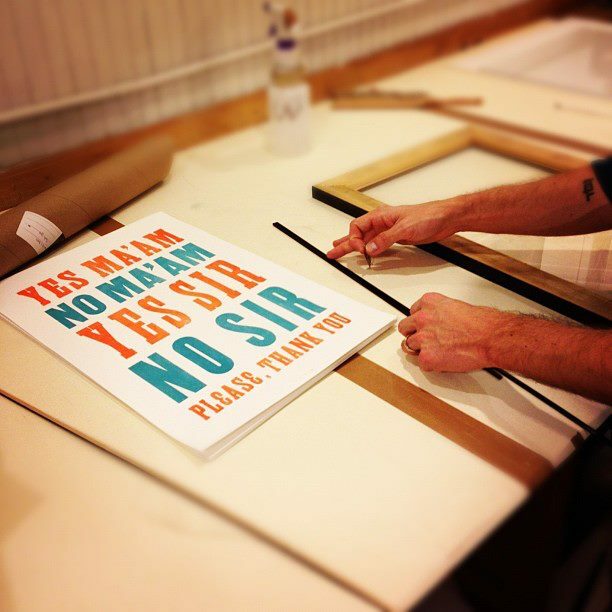 We have two great friends who'd ordered a Manners print from us. They took it to Framer's Workshop in Brookline, a DIY frame joint, and fired off some pictures in real time. Course, we're delayed and at this point the print is looking great on their wall and the whole thing is finished. But the real time Twitter updates were fun while they lasted.